Mix up your love of light sabers and cooking with these Sith Lord immersion stick blenders. 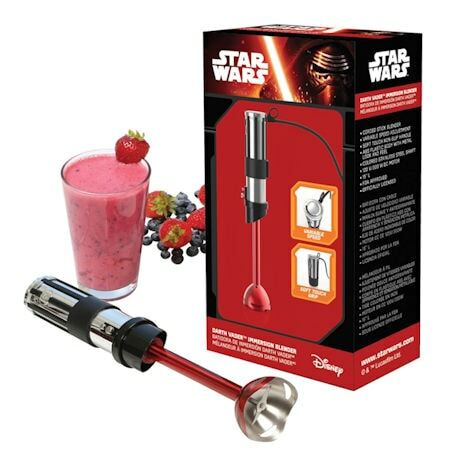 Modeled after Darth Vader's iconic weapon, wield them to blend your favorite drink or whip up soups, drinks, and sauces. You'll love gripping their soft touch, non-slip handles made from sturdy ABS plastic with a metal look and feel. Corded blender with variable speed adjustment. Durable stainless steel shaft. 120 V/300 W DC motor. Each measures 14" Long. FDA approved.